The last model of the first generation BMW 1 Series rolled off the production lines at the Leipzig plant. The 1 Series Convertible successor, the 2 Series Convertible, will go on sale next spring. 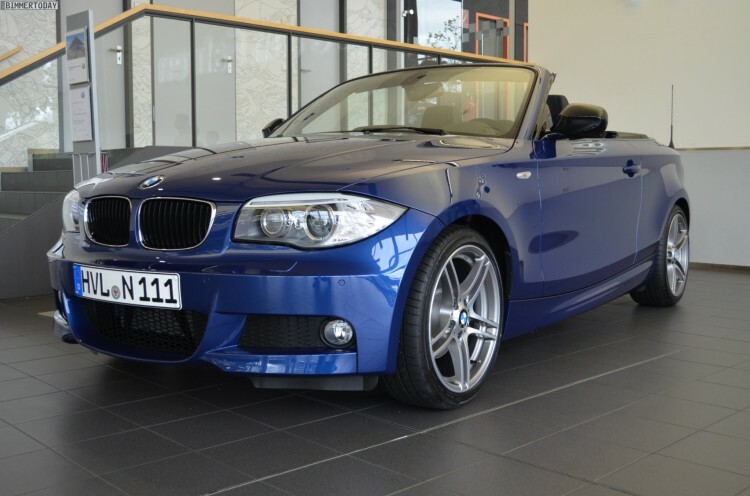 Over the weekend, BMW handed over the keys of the 1 Series Convertible to a happy owner who now owns an unique model. The BMW 118i Convertible comes with the M Sport Package and shines in the beautiful Le Mans Blue Metallic color. Inside, the special convertible comes with sport seats and sport steering wheel, as well as blue contrast stitching and Fineline Stream wood. The car sits on light-alloy wheels double spoke 313 M in 18 inches painted in Ferric Grey. Black mirror caps give the car an even sportier look. Under the hood, the 118i Convertible uses a 2.0-liter, four-cylinder engine with 150 hp and 200 Nm of torque. The last of the first generation 1 Series was built with a six-speed automatic transmission.